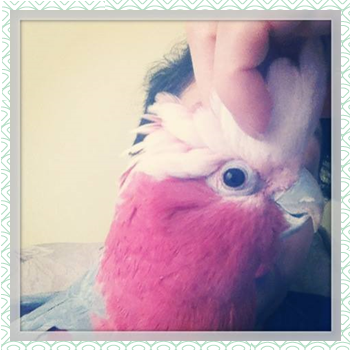 Hi y'all! Ain't she PRETTY!? IT'S JUNE! 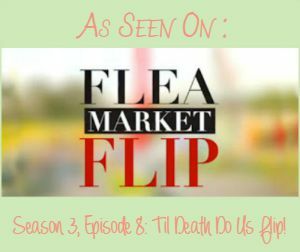 Last month's launch of our Fab Furniture Flippin' Contest was so amazingly successful and I for one, could not be happier! Thank you to all who participated and to last month's fab sponsor! If you missed the announcement of our winner, check here. It's a new month, which means a brand new FFFC! 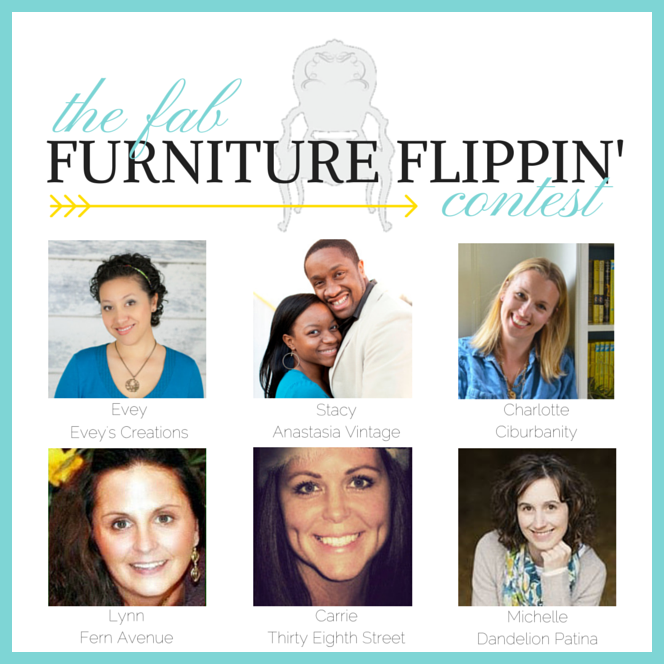 In case you are just joining us, the FFFC is a monthly competition for Fab Furniture Flippin' Bloggers who get to compete for a grand prize! Each month, we will have a different theme, and each month will be sponsored by a different brand. The participants are competing to win a prize from that month's fab sponsor! How fun does that sound?! This month's Fab Theme is: "Shabby Chic Storage"! 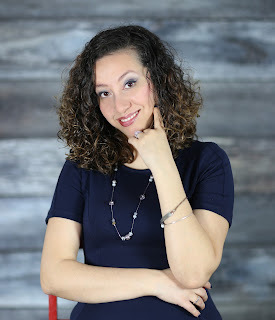 Our 6 Fab Hosts are above and this month's featured hosts with FAB inspiration pieces are the amazing Carrie of Thirty Eight Street and the incredible Charlotte of Ciburbanity. 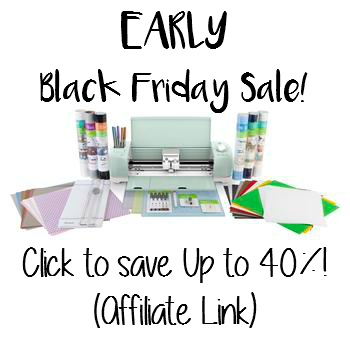 Make sure you hop over to their blogs to check out their pieces! 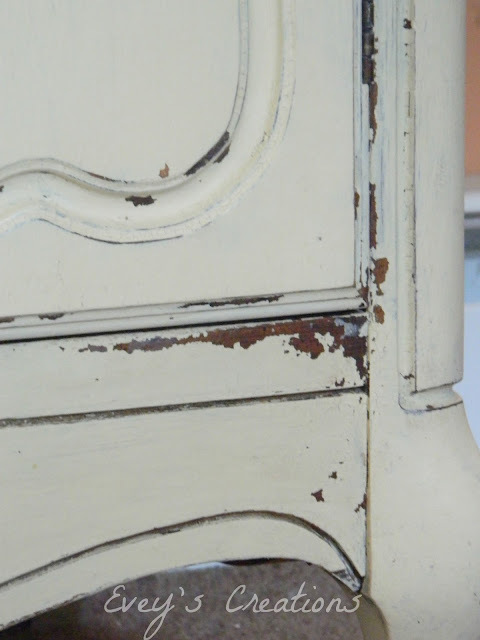 Though milk paint has been around for centuries, Anne's father, Charles Thibeau, was the first person to market and produce the modern-day casein based, powdered form of milk paint in 1974. 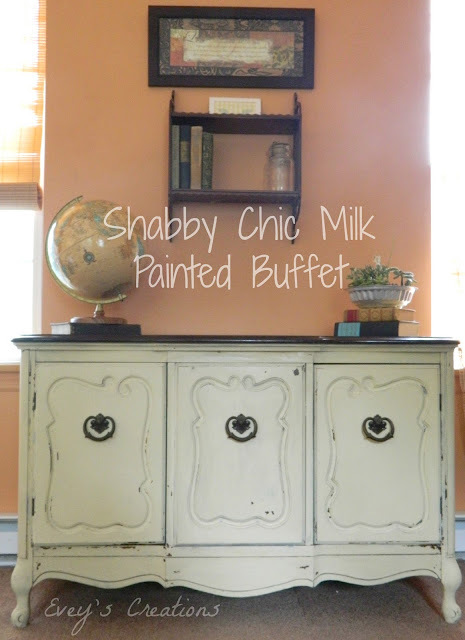 Milk paint was the original 'chalky finish' paint and is the greenest paint you can find. Charles was very concerned with the environment, and was even a part of the very first Earth Day in 1970! In the early 70s, he formed the NFEC (National Foundation for Environmental Control, Inc). He sadly passed away in 2012. In that same year, OFMP was awarded a USDA certification as a Biobased product. Biobased products are materials composed of agricultural, forestry, or marine materials. 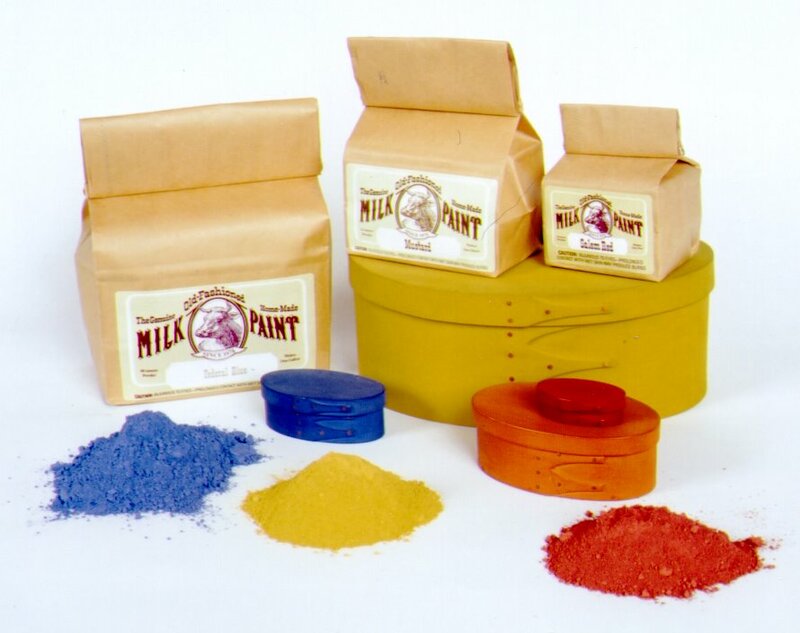 Old Fashioned Milk Paint and the company's newest formula, SafePaint for walls, are made from natural materials including milk protein (casein), crushed limestone, clay and earth pigments. I LOVE that their paint is all natural and SAFE. 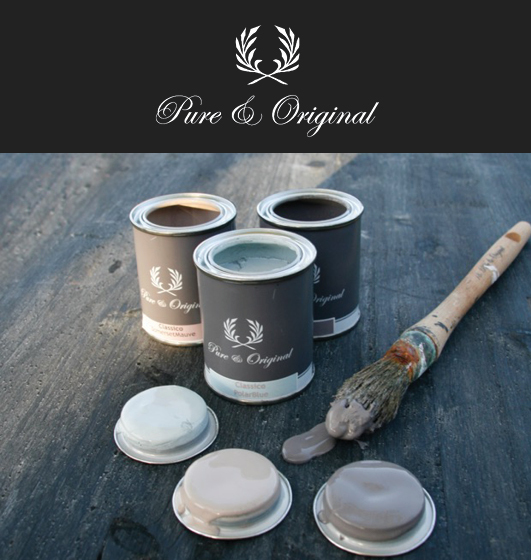 Though it's known best for it's chippy effect surfaces that have been previously finished, it can be used to achieve a modern and smooth finish as well. It adheres to porous surfaces such as raw wood. It can also be used with their acrylic binder for a smooth finish on non-porous surfaces (such as those pieces with a previous finish). Thank you to Anne (the current President of OFMP) for being our fab sponsor this month! Yeah, she wasn't always so pretty. My dad, who knows my love for all things French Provincial, found this buffet at a garage sale, along with it's massive big brother, the China Cabinet, at a garage sale. I think he paid $75 for BOTH pieces. 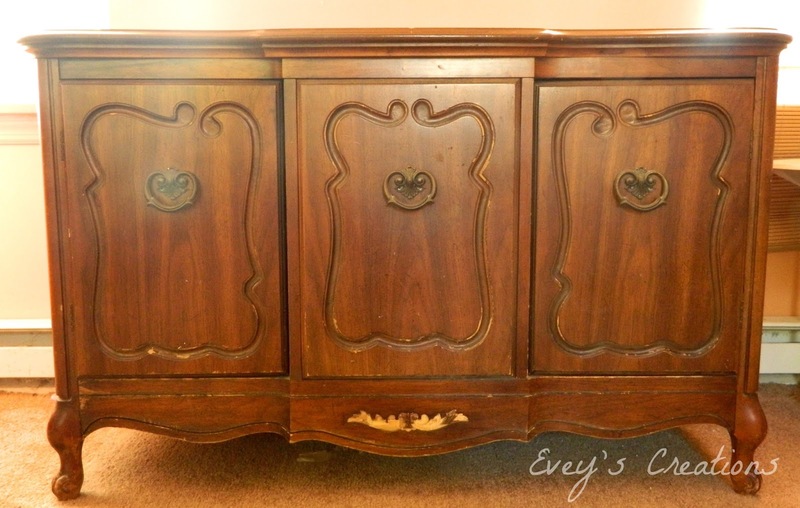 Mr. China Cabinet will be getting a matching treatment soon. Both pieces had been massively chewed up by the previous owner's dog. I removed the chewed up wooden appliqués and sanded down the legs until smooth. I did have to build up a bit onto the legs with some wood filler where the teeth marks were the worst. Sigh. Isn't she dreamy!? I started out with roughly about two cups of OFMP in their Buttermilk and mixed in a couple teaspoons of their slate, since I wanted a cooler neutral than the original Buttermilk. I sanded where I wanted the milk paint to adhere well, and didn't sand where I wanted it to chip. That is one of the ways I control the chipping. I only wanted the edges and corners to chip. That chippy goodness just makes me swoon! It also crackled naturally and beautifully in other spots. I'm just in love with the result. 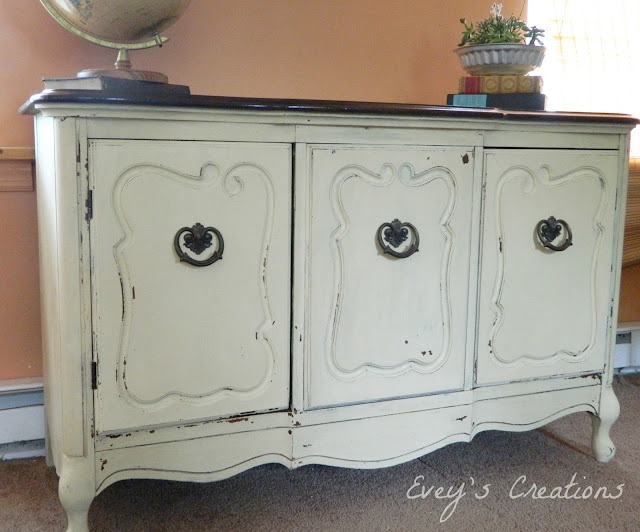 I did want a two toned look so I used my trusty Stain+Finish on top from last month's fab sponsor, CeCe Caldwell's Paints. I'm extremely pleased with the results!Make sure you check back frequently to see all the amazing entries! Good luck to our contestants for this month! 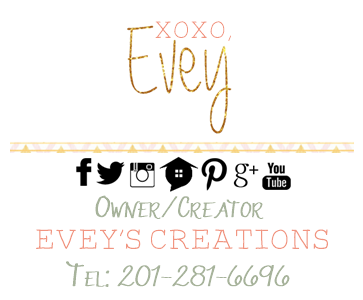 If you are a furniture flippin' blogger, and interested in competing, please email either Stacy or myself at info@anastasiavintage.com and info@eveyscreations.com. Before I leave, here's a video (it's long, just a warning) of some OFMP in action. Evey, I love this cabinet. I have always loved the look of white furniture and you nailed it with your transformation. I really wish this one was in my home. I'm in LOVE! Just the perfect amount of choppiness and the round hardware is to die for! <3 thank you lady! You knocked yours outta the park! I was drooling when I saw it!